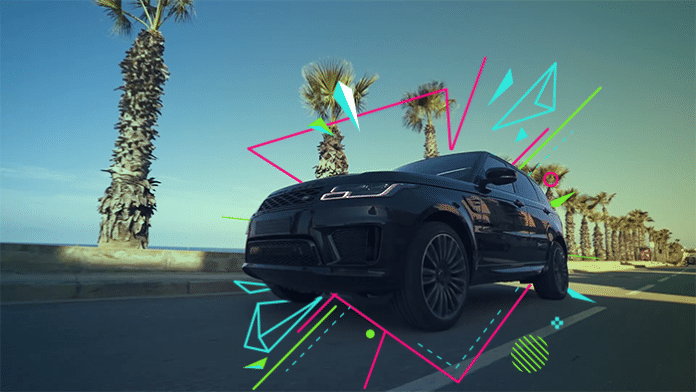 Cars and SUVs aren’t normally the type of tech we normally go for on Gadgets. But every once in a while, one comes along that we simply have to try. In this case, it’s the Range Rover Sport Autobiography. We’re not here to tell you how quickly we can get to 100km/h, or the power output of the 6 or 8 cylinder engine. 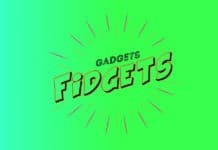 What we are here to test is all the different gadgets they’ve managed to cram into it. 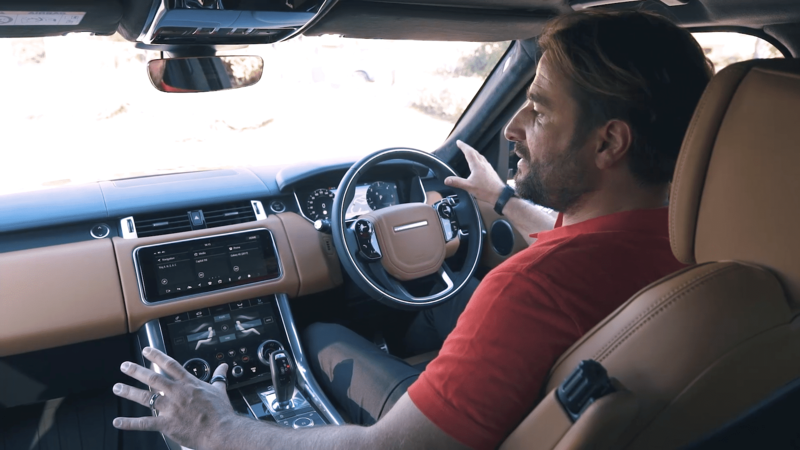 All you have to do is sit in the driver seat of the Range Rover to see what I’m talking about. 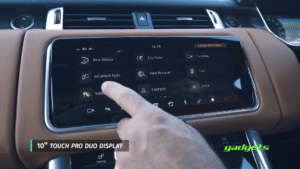 Most cars these days come with a touchscreen in the centre console for radio, contacts, and the occasional hands free kit. 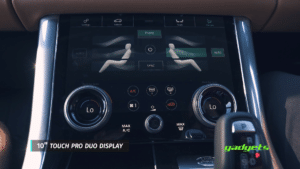 The Range Rover, not content with a measly single screen, comes with three. Two of them are found in the centre console. The top screen handles music, contacts, and media. 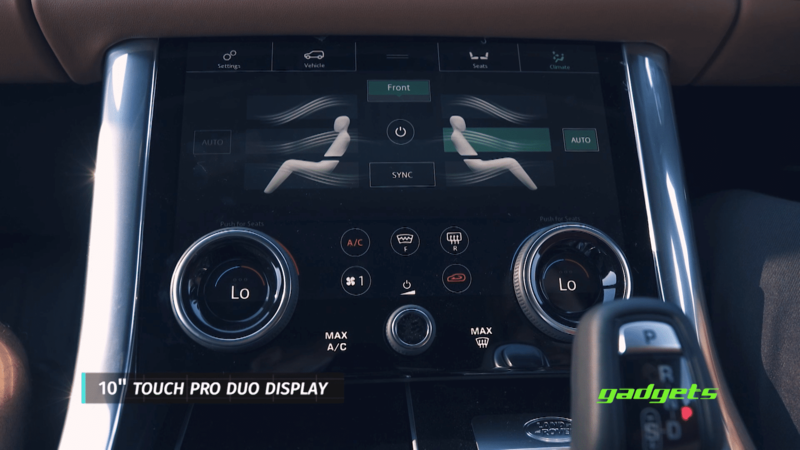 The bottom screen handles the Range Rovers climate control, and general settings. Now comes, probably the coolest of the three, the one behind the steering wheel. This screen displays all the dials that you would normally find on an average dashboard by default: Your speedometer, rev counter etc. However, you can customise it to your heart’s content. 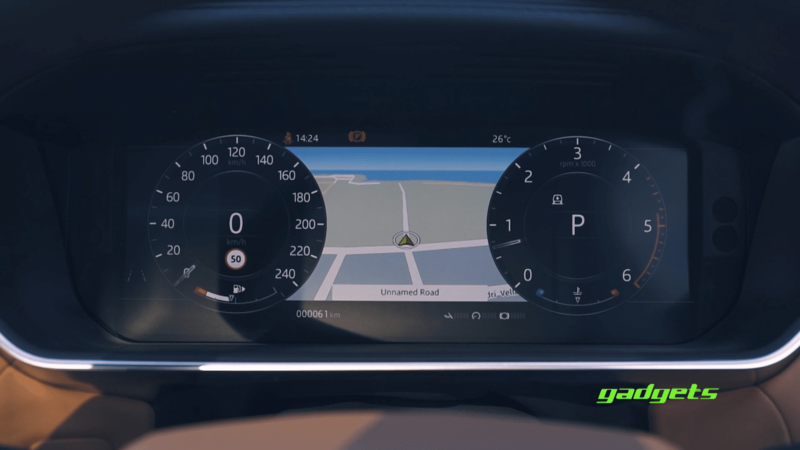 You can replace the entire screen with the GPS navigation, or media controls. You can even have the map up, and both dials if you don’t want to get lost but don’t fancy risking a speeding ticket. If you’re already on the road and realised that you forgot to charge your phone fear not. 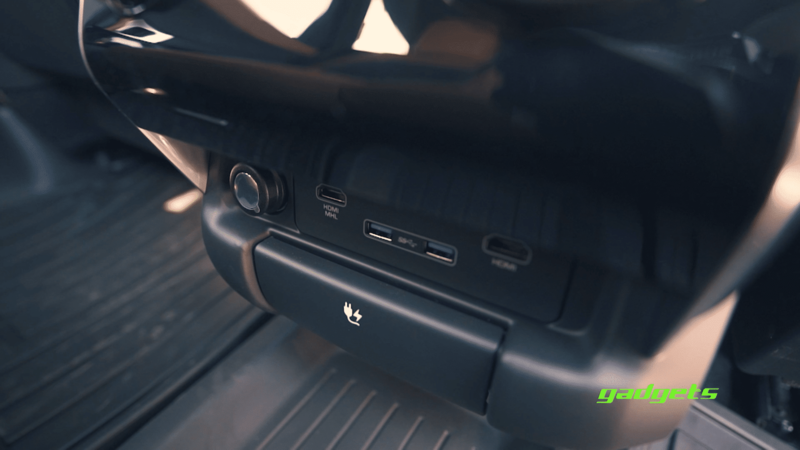 The Range Rover comes with multiple USB ports, and even has a full size electrical socket, just in case you only have the wall socket with no USB cable. 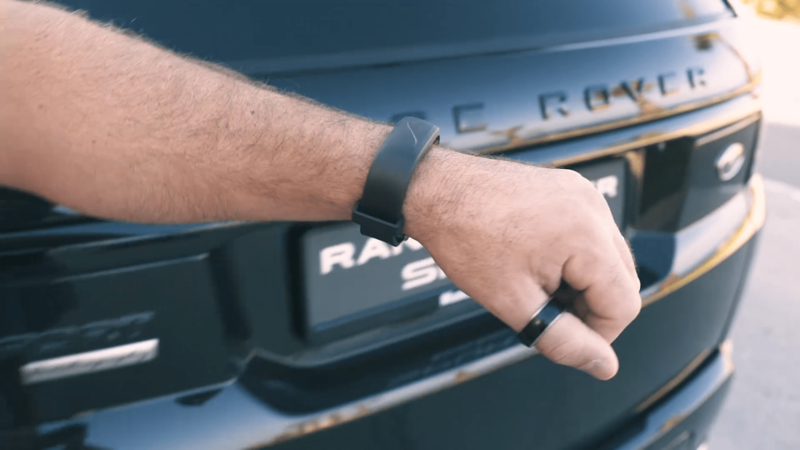 With the Range Rover Sport, you also get a wristband. It sounds underwhelming, but it’s, more than just a fashion accessory. It can unlock your car for you, It’s completely waterproof, and it’s no larger than your average fitness tracker. So if you want to hit the gym, or go for a swim, you won’t need to carry your key with you. 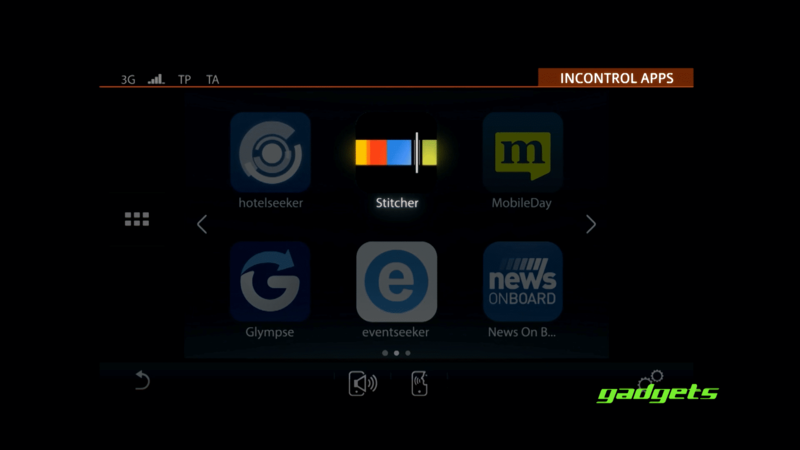 Which brings us finally to the InControl App. This companion app connects your phone to the screens, which in turn syncs your contacts and music. It also allows you to use an ever growing suite of compatible apps directly from the Range Rovers screens. It can also tell how much fuel you have left in your car, and how far that should get you. You can turn on the AC remotely for those summer days that feel like you can slow cook your dinner in your car. 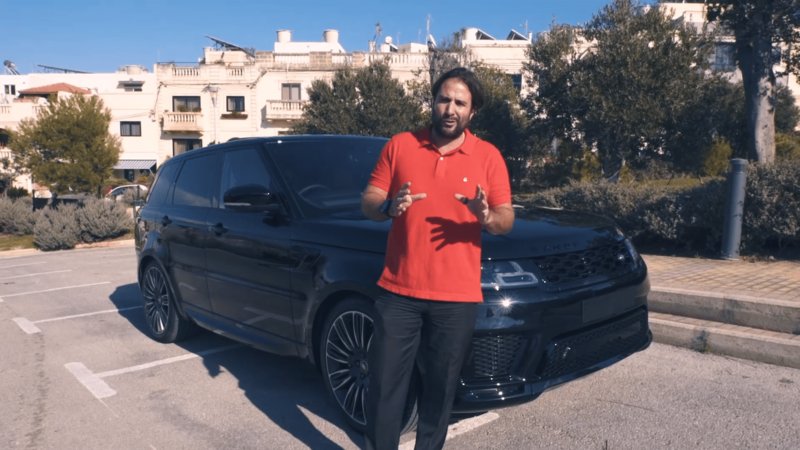 You can even track your Range Rover Sport in real time, so you won’t have to worry where you parked it, or if someone is “borrowing it” without you knowing. Thinking of getting yourself an early Christmas present? Let us know in the comment section below.